The Green Bay Packers have signed veteran tackle Mark Tauscher and placed defensive back Will Blackmon on injured reserve. 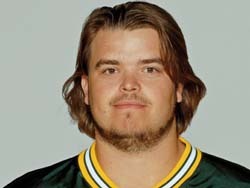 Tauscher played his first nine NFL seasons (2000-08) with the Packers. He saw action in 122 games, including 120 starts. Tauscher is returning from off-season knee surgery and is expected to compete for the right tackle job with Allan Barbre immediately. Blackmon saw action in 3-games in 2009 before suffering a major knee injury.